With GoCal, you have four different ways to stay on top of your schedule. 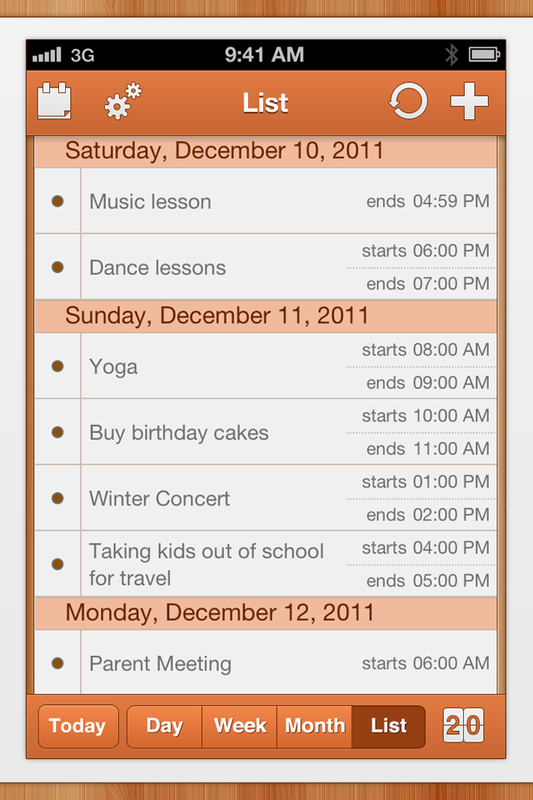 Regardless if you want a day, week, month or a 'what's next' list view - GoCal has your schedule covered. 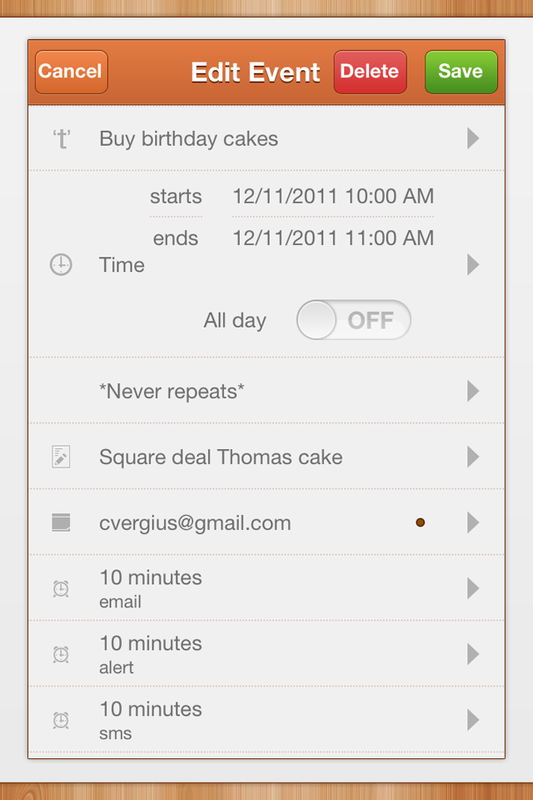 Use GoCal's event reminders to your advantage. Whether you need to set an actual reminder about something coming up or an excuse to leave - set your reminders to let you know via alert, Email or even by SMS. Making plans and want someone to be there? It’s easy as one-two-Email me! Simply add a participant to an event, and they’ll be notified straightaway about your plans. GoCal has been designed from square one so not only will you be on time every time, but the sleek and elegant user interface will keep you coming back for more. 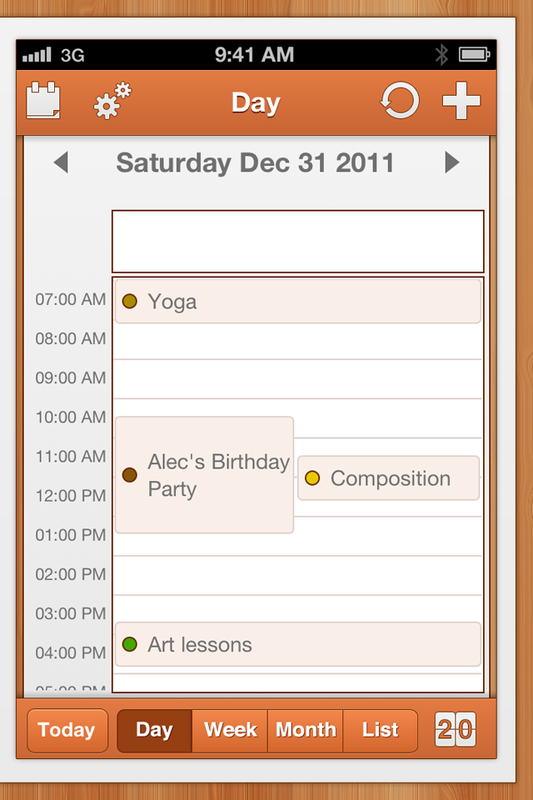 Designed for everyone’s schedule, regardless of device. GoCal supports every generation of iPhone. So whether you have Apple’s new iPhone 4 with amazing Retina display or are a die-hard iPhone 1st generation fan - GoCal will keep you organized. 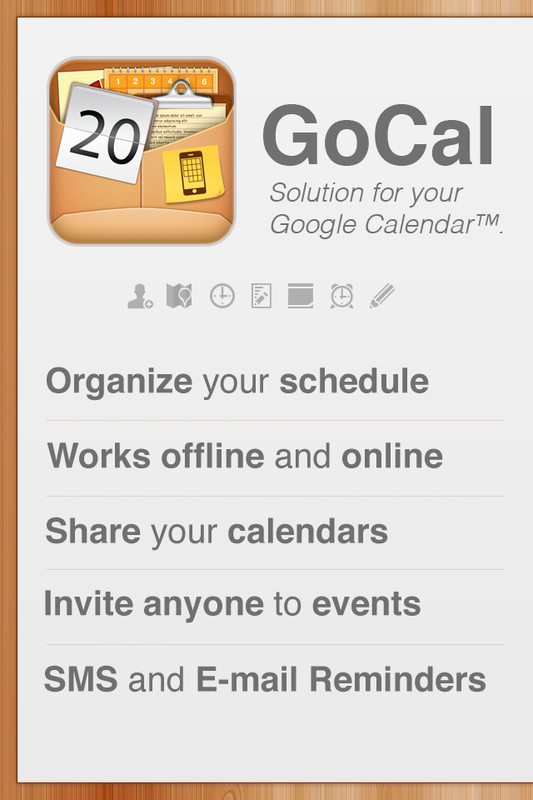 This is the third big update of GoCal for iPhone. It includes complete redesign of application, as well as some amazing new features for your use. - New Month, Day, Week and List views. - Fullscreen Day, Week, Month (Pinch to enable). 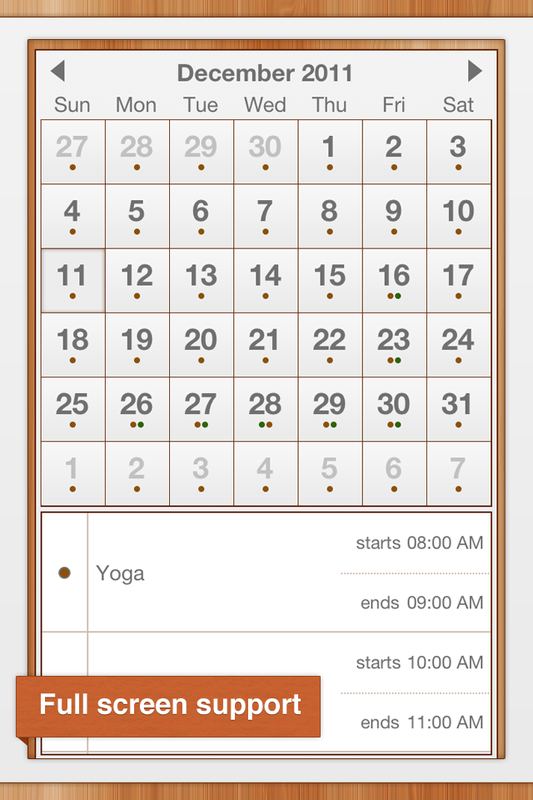 - Ability to use only built-in calendar. - New way to preview events. - Fixed crashes upon adding/editing events.